The DTB were joined by the FCB including club chief executive Erik Samuelson, chief operating officer, Joe Palmer and non-executive director Mick Buckley. Erik Samuelson responded to questions from the DTB regarding his FCB report and Joe Palmer provided an update on the results of the implementation of the new ticketing system at the first home match against Coventry City on 11 August. Joe noted that the overall implementation of the new system was a success and said that he’d received generally positive feedback from the fans. Joe has received feedback from turnstile volunteers about what did / didn’t work and the Club will be reviewing how to resolve any issues that arose. The DTB acknowledged the extra hours and work from volunteers to implement the new ticketing system in time, despite technical glitches and delays caused as a result of unforeseeable circumstances, including the decision by Chelsea Ladies not to share the system. The DTB expressed its thanks to David Growns and all volunteers for their efforts. However, they noted that there was a gap in communications with cash office and turnstile volunteers prior to the match, and the Club would make sure to address this in future. Also discussed were the recent changes in catering, including positive feedback from hospitality for the new chef who started last week. Joe outlined some of the expected changes to catering in other areas of the stadium to be introduced in the near future. Following an update from Erik on the new stadium, Mick Buckley then explained the process the Club is undertaking to set up a crowdfunding campaign to support the financing of the stadium. Roger Evans and Mark Davis have been working on a Restricted Action to put to members for approval of the crowdfunding. The current plan is to ask DTB members to vote on the motion at an SGM on 4 October. In meantime, there an SGM is scheduled for 13 September in which members will be able to ask any questions they have about the process and can also get a general update on the progress with the stadium. Joe Palmer, with the support of Tim Hillyer, had conducted an investigation into merchandise pricing and shirt price comparison of the AFC Wimbledon shirts with other clubs in League One. Although the adult shirt is currently one of the most expensive in the league, this is partly because of the long-standing policy of cross-subsidising a discount on children’s shirts with a premium on adult shirts. When the prices of an adult and a child’s shirt are aggregated, AFC Wimbledon’s pricing is towards the middle of the range. Erik, Joe and Mick left the meeting. The DTB agreed the formal minutes of July’s board meeting. However, it was noted that the 30 day deadline for publication of redacted minutes did not permit sufficient time for board members to comment on the changes that other board members had requested. It was agreed that redacted board minutes should in future be published within a week after the subsequent monthly board meeting, so as to allow the redacted minutes to be part of the formal approval. DTB members provided Committee updates. Following an update from Mark Davis on the Oversight Committee, Matt Breach provided an update from the Strategy and Organisation Committee. They have recruited five volunteers from the Survey Working Group who have agreed to help and Joe Palmer has provided some input into the scenarios he’d like the survey to cover. Matt will be meeting with Joe and volunteers before the end of month to outline what they want to do, a timeline and to draft an advert seeking more volunteers. The Stadium Committee explained that they will be meeting with Erik to discuss the timeline for consulting on stadium options with fans. 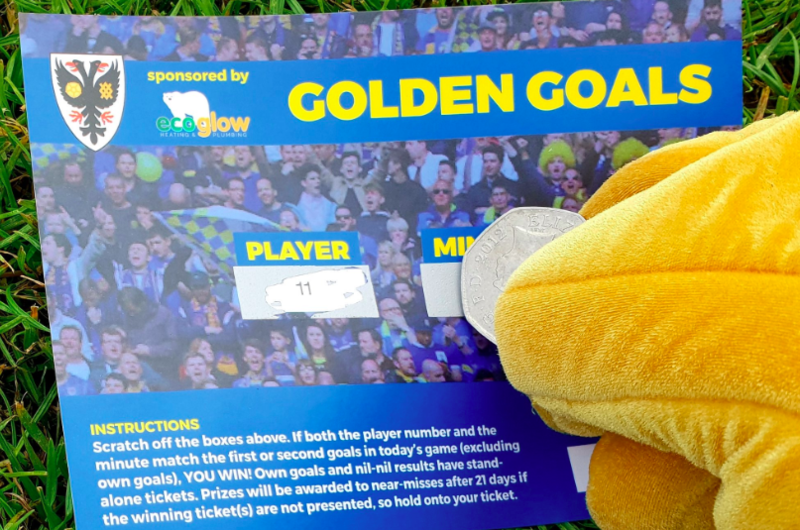 Mark Davis noted, on behalf of the Operations Committee, that Golden Goals would be continuing this season, utilising scratch cards. The DTB thanked Mark for his work on this and extended their thanks to Maria Potter, Patrick Peel-Barnard and Jim Potter who have agreed to share the organisation, to the volunteers who sell tickets and to Joe Palmer for organising the scratch cards and securing sponsorship for Golden Goals from Ecoglow Heating & Plumbing. On behalf of the Engagement & Communications Committee, Cormac ran through a paper he’d written in advance of June’s DTB meeting, proposing that a few DTB members should host a forum after Saturday home games, or once a month, to discuss issues with DTB members. The meetings could either be open or on specific topics which the DTB ask fans to suggest ahead of the game. They may even invite specific members / fans to speak on issues of concern. Board members expressed interest in the proposal and Cormac agreed to pull together a full proposition for how the initiative would work in practice. The Board discussed the upcoming SGMs, the first of which will be on 13 September. The second, scheduled for 4 October, will have a short section for formally concluding the Restricted Action on crowd funding before opening up the rest of the meeting to be something that is potentially more open and interactive around the new stadium. The Board agreed to discuss the content and structure at their next meeting. The board discussed a paper from David Growns with an update on AFC Wimbledon Ladies & Girls. The paper suggests that the limited company should exist under AFCW plc, as opposed to being directly under the control of the DTB, although they will periodically report into the DTB. The DTB agreed this proposal and requested further details on how reporting arrangements will work in practice. 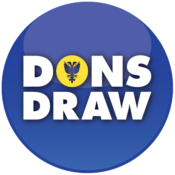 The DTB ratified two email votes – the first being to vote for Paul Cuffe, Neil Le Milliere and Tom Greatrex in the Supporters Direct board elections and the second being to vote in favour of the proposed merger of Supporters Direct and the Football Supporters Federation. The latter vote had been cast at Supporters Direct’s AGM, where the merger was agreed by a small majority. Under AOB Jane noted that the Dons Trust is not yet included on the CRM (customer database) system, which makes it harder to update Webjam subscriptions. Tim noted that the volunteer Code of Conduct has not yet not been circulated to volunteers. Mark explained that some last-minute changes had held this up and that the Volunteer Liaison Officer would be attending October’s DTB meeting. This entry was posted in Meeting Summaries and tagged board meetings, Dons Trust Board, monthly summary. Bookmark the permalink.